Stanford University this afternoon cleared three professors of any wrongdoing in connection with their ties to a Chinese scientist who said his research had led to the world's first gene-edited babies. Pam Belluck of the New York Times broke the story after obtaining a letter that cleared scientist Stephen Quake in connection with the research, which stirred a global controversy. “'In evaluating evidence and witness statements, we found that Quake observed proper scientific protocol,' said a letter from the university to Dr. Quake, obtained by The New York Times on Tuesday. "In fact, the letter said, Dr. Quake discouraged Dr. He from pursuing the project and urged him to follow proper scientific practices after he insisted on going ahead." "On Tuesday, Dr. Quake, who turned 50 this week, said: 'I’m pleased this inquiry is over and its conclusion is consistent with what I knew to be true: that I had urged Dr. He not to pursue this path and when it became clear he wouldn’t listen to me, to adhere to high scientific and ethical standards in his research.'" Quake is involved in a $40 million program financed by the $3 billion California stem cell agency. The other two researchers are Matthew Porteus, a genetics researcher, and William Hurlbut, an ethicist. As of this afternoon, the Times story on Sunday had generated 329 comments in the Times from readers, covering the full gamut of reaction. "For such an intelligent and accomplished person, Dr. Quake comes across as breathtakingly obtuse." The Times said 134 readers "recommended" the remark. "Dr. Quake’s actions appear to be that of a dedicated mentor who encourages their students to be successful, but to do so while conducting themselves in an ethical manner. While the investigation by Stanford is warranted, from the information presented in this article, I cannot see even a hint of misconduct by Dr. Quake." The Times said 175 readers "recommended" the remark. The Times also makes its own judgment about comments and labels some as a "Times Pick," It also has a category called "Reader Picks" in addition to "All." The Times moderates its comments for civility. The reader comments can be found by going to the story and clicking on a small box to the right of the reporter's byline. California Attorney General Xavier Becerra is remaining mum on regulation of "snake oil," stem cell clinics as the Golden State pursues a go-slow approach to cracking down on the dubious treatments. More than 100 such clinics are operating in California, the most of any state in the nation. New York state earlier this month took the lead among states in attempting to regulate the clinics, which the chairman of California's $3 billion stem cell agency, Jonathan Thomas, has described as peddling "snake oil." “Misleading vulnerable consumers who are desperate to find a treatment for serious and painful medical conditions is unacceptable, unlawful, and immoral. The businesses number more than 700 nationwide and have treated an estimated 20,000 persons. The clinics sell products that they say are stem cells for use as treatments for problems ranging from erectile dysfunction to cancer. The treatments lack rigorous scientific testing and cost thousands of dollars. In some cases in Florida, they have resulted in blindness. Other serious injuries have been reported elsewhere. In the wake of the New York action, the California Stem Cell Report, on April 5 and again on April 11, queried the California attorney general's office about his position on the dubious clinics. However, Becerra's office has failed to respond. "The Department of Justice will put patients first in a more quality health care system. We achieve this by protecting patients from bad actors...."
Other California state entities have expressed concern about the unregulated clinics but also offer only a slow schedule for action, if any. "The board is gathering information for the Stem Cell and Regenerative Therapy Task Force and has set a goal to have its first meeting in late May, early June." In the legislature, Assemblyman Kevin Mullin, D-San Mateo, has introduced a measure to deal with the clinics. His bill, if it is passed and signed into law, would not take effect until next January. It would direct the state Department of Public Health to hold hearings sometime next next year in order to craft possible legislation to directly regulate the clinics. A new regulatory panel called the Stem Cell Clinic Regulation Advisory Group would be created. After members are named and organized, it would have the ability to enact "emergency" regulations on a 90-day notice after it has consulted with "the medical community, bioethicists, legal scholars, and patient advocacy groups." The legislation (AB617) is scheduled to receive its first hearing in the Assembly Health Committee April 23. The unregulated stem cell clinics have been in business for years. Their dubious treatments and sales pitches have been well documented. 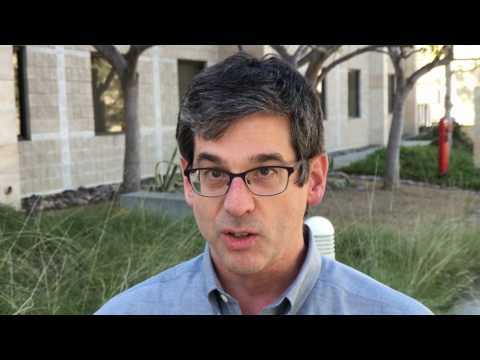 UC Davis stem cell scientist Paul Knoepfler has been particularly active. He and Leigh Turner of the University of Minnesota were the first to document the full scope of the clinics in a groundbreaking study in 2016. In recent years, the Food and Drug Administration (FDA) has become more active. In the case of one California firm, Cell Surgical Network, which has been in business since 2010, the FDA sued the firm last May alleging that it had, among other things, used a smallpox vaccine to create an unapproved stem cell product. The product was injected directly into tumors in persons with potentially compromised immune systems, the FDA said. The New York Times this morning carried a front page story dealing with Stanford University, scientist Stephen Quake and gene-edited babies in China. The story appears to the first time that Quake, who is the Lee Otterson professor of bioengineering and professor of applied physics at Stanford as well as co-president of the Chan Zuckerberg Biohub, has spoken at length publicly about his role in the matter of the Chinese children, who are the first gene-edited babies to be born. Their announcement last fall created an international brouhaha about the ethics and science of the work by He Jiankui, who once worked in Quake's Stanford lab. "The sender was He Jiankui, an ambitious, young Chinese scientist. 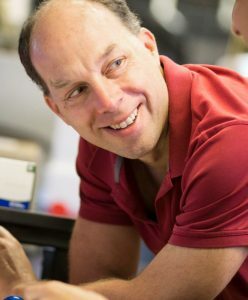 The recipient was his former academic adviser, Stephen Quake, a star Stanford bioengineer and inventor. "'Wow, that’s quite an achievement!' Dr. Quake wrote back. 'Hopefully she will carry to term...'"
In the Times article, Quake, who is participating in a $40 million genomics program backed by the $3 billion California stem cell agency, denied the allegations. Quake said his interactions with He have been misinterpreted. "Dr. Quake showed The Times what he said were the last few years of his email communication with Dr. He. The correspondence provides a revealing window into the informal way researchers navigate a fast-moving, ethically controversial field." An attempt in the California legislature to take limited and preliminary action to regulate "snake oil" stem cell clinics stands in sharp contrast to this week's legal action by New York state's attorney general. California's Assembly Health Committee has scheduled an April 23 hearing on the bill (AB617) by Assemblyman Kevin Mullin, D-San Mateo. Supported by the $3 billion state stem cell agency, it would require the state Department of Health to look into the dubious clinics next year and make recommendations to the legislature. 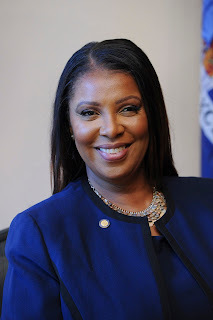 The legislative hearing comes as New York state attorney general Letitia James announced a lawsuit yesterday against a New York business that has performed what she said are unproven and rogue procedures on patients. "According to (New York) state regulators, Park Avenue Stem Cell also had ties to a California business, Cell Surgical Network, with roughly 100 affiliates around the country, that was sued by the F.D.A. (the Food and Drug Administration) last year. The federal agency is seeking a permanent injunction against Cell Surgical Network...."
California is taking a slower and more limited path than New York. Mullin's legislation would do little to halt activity by the clinics this year. California's attorney general, Xavier Beccera, has not spoken out publicly on the issue. The state medical board has created a task force to look into the problem but it is unclear whether it has made any headway. California has the largest number of the clinics, more than 100, according to a 2016 study and its authors. The New York Times said the businesses "offer people treatments that cost thousands of dollars, which patients typically pay out of pocket because health insurers refuse to cover the therapies. Some products have proved dangerous to patients, blinding some and causing severe infections in at least a dozen people." UC Davis stem cell researcher Paul Knoepfler and Leigh Turner of the University of Minnesota were the first in the nation in 2016 to document the full scope of what the chairman of the state stem cell agency, Jonathan Thomas, has dubbed a "snake oil" industry. "The unmistakable message is that the firms' time to come into compliance is rapidly running out." Robert Weschler-Reya briefly discusses some of the implications of his research. Nine years ago this month, the California stem cell agency kicked off a $47 million recruiting effort to lure star stem cell scientists to the Golden State in what was then an even more fledgling field than it is today. The first recipient was Robert Weschler-Reya, who left Duke University to join the Sanford Burnham Prebys Medical Discovery Institute in La Jolla, Ca. Weschler-Reya surfaced again last week in an item on the stem cell agency's blog, The Stem Cellar, which discussed the research that he hopes will help children with a deadly brain cancer. Ultimately, the agency helped to bring eight other scientists to California through the recruitment effort. All of the awards in the program benefited institutions with past or present representation on the agency's governing board. Those directors could not vote on specific grants to their institutions, but they all voted in favor of creating the recruitment effort. The overall approach was approved in 2009 by directors of the agency, known formally as the California Institute for Regenerative Medicine (CIRM). Backers said it would lure "paradigm-shifting," "franchise players" to the state. "I was sitting in Baltimore (and) the big concern was that there would be this big sucking sound for the senior people. And that, by and large, I don't think has happened because there's not been an appropriate mechanism to bring them, and I think this would do that." As for Weschler-Reya, CIRM quoted him on its blog last week as saying that his research has developed "a valuable tool that will increase our understanding of the biology of the cancer and allow us to identify and test novel approaches to therapy. This advance brings us one step closer to a future where every child survives—and thrives—after diagnosis with CPC (choroid plexus carcinoma). "The goal of our studies has been to elucidate the role of stem cells in development, regeneration and tumorigenesis in the cerebellum. We have made significant progress towards this goal during the course of our work. "Our studies have provided insight into the types of cells derived from cerebellar stem cells during development, and shown that cerebellar stem cells can serve as cells of origin for pediatric brain tumors. Moreover, we developed several new stem cell-based animal models of pediatric brain tumors, and used them to study mechanisms driving tumorigenesis and metastasis. Importantly, we also used these models to screen for compounds that might be effective inhibitors of tumor growth, and identified a number of promising candidates. "Our long-term goal is to move these agents toward clinical trials, to improve outcomes for pediatric brain tumor patients." Here is a list of all the recipients in CIRM's recruitment program.